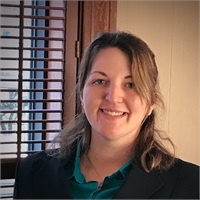 Marcie Kress | Wealth Strategies, Inc.
Marcie joined the Wealth Strategies in February 2018. Marcie grew up in Evansville, IN and attended F.J. Reitz High School. After graduating, she attended Ball State University where she received her Bachelor of Science in Criminal Justice and minored in History and Digital Forensics. Marcie lives in Muncie with her fiancé, Jared, son, Asher, and step-children, Kaelyn and McKensie. Marcie enjoys being a member of the American Poolplayers Association, reading, hiking and spending time with her family and friends.